Purchase online CD4440 2-Channel Audio Power Amplifier in India at low price from DNA Technology, Nashik. 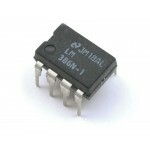 CD4440 is the 6W 2-channel bridge power amplifier. It also called as Dual Power Amplifier. CD4440 is nothing but LA4440. Built-in 2 channels (dual) enabling use in stereo and bridge amplifier applications. Minimum number of external parts required. Small pop noise at the time of power supply ON/OFF and good starting balance. Low distortion over a wide range from low frequencies to high frequencies. Easy to design radiator fin. 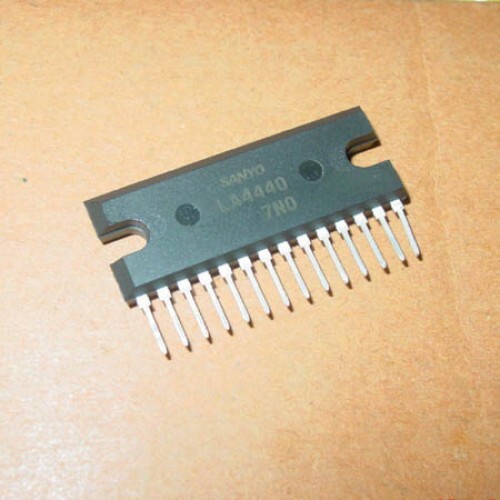 LM386 Audio Power AmplifierThe LM386 is a power amplifier designed for use in low voltage consumer a..
TDA2003 Car Radio Audio Amplifier The TDA 2003 has improved performance with the same pin configurat..